2017 was Kaiser’s most profitable year ever, bringing in $3.8 Billion. So why is Kaiser giving their workers and patients the run-around? 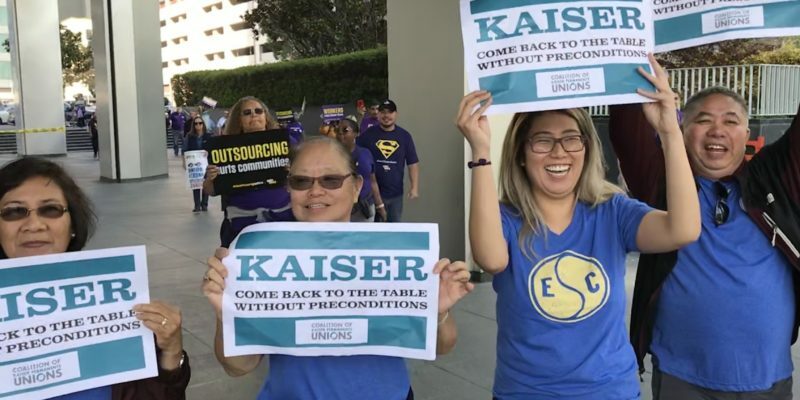 Kaiser’s refusal to address staffing issues in our Clinical Labs or return to the table with the Coalition of Kaiser Permanente Unions is disrespectful of our unions and the role our members play in providing quality patient care. On top of that, Kaiser is undercutting our communities by attempting to outsource thousands of jobs.